We cover more than brick, slate and tile. Concrete, pre-fabricated and eco-homes covered. Reinstatement in same materials, to original design. Non-standard materials can cause your premium to increase because the risks that affect the property can be greater. It is typically more difficult and costly to maintain a building of non-standard construction. This is often the case with listed buildings, where traditional methods must be carried out by a specialist tradesman to preserve the historical importance of the property. For this reason, you will likely need to source non-standard building insurance from a specialist provider like HomeProtect. The more details that you can provide, the more likely you are to find the right nonstandard house insurance at the right price for your unique property. When asking for a non-standard construction home insurance quote, bear in mind that some concrete and prefab or prefabricated reinforced concrete (PRC) homes (such as Hawksley PRC houses) have a brick façade. You need to list all of the building materials used to be properly covered in the event of a claim. If in doubt, a qualified surveyor can help. What is non-standard construction insurance? It’s not only the building materials that can classify a house as non-standard. Understand more in this quick run-down of examples of non-standard circumstances. What materials are considered non-standard? 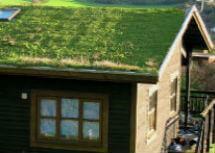 Eco-friendly materials including green roofs. Cob, and wattle and daub. We also cover passive houses and zero energy buildings (ZEBs) built with non-standard construction materials. Up to £500,000 for loss or damage to the structure of your property or permanent fixtures. Standard policy protects the property, outbuildings and fixtures and fittings against fire, storm and escape of water. 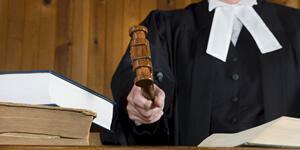 Public liability up to £5 million available. Access to a 24/7 claims helpline. How easy is it to insure my non-standard construction property? It all depends on the individual property. For instance, empty house insurance and steel frame insurance are two very different situations to cover, and so the ease with which you can find insurance for non-standard constructions will vary. Many standard insurers do not provide cover for non-standard constructions because of their added risks, but at HomeProtect we can offer cover for a huge number of non-standard situations online. There are a huge number of non-standard materials being used in modern constructions, such as asphalt, concrete, timber, glass and steel. Older properties are also made with non-standard materials like wattle and daub or flint. When in doubt, check with a builder, surveyor or your home insurance provider. Do I need specialist insurance if I am building my own house? Yes, self-build insurance is a must-have to safeguard your building project from risks like flood and fire. You should also research whether you need employer’s liability insurance or public liability insurance if you are responsible for builders on-site. In some cases you may not be able to find cover until the build is complete, so it’s best to approach insurers before work starts. How do I calculate the rebuild cost of my property? If you have recently purchased a property then you should refer to the home buyer’s guide or survey; this should include the rebuild cost. If not then you should have a professional surveyor carry out an assessment and provide you with an accurate rebuild cost. For standard construction properties, use the free online BCIS rebuild calculator. Very helpful company in initial setting up of account. Special circumstances recognised and dealt with professionally. Our policies include up to £25,000 legal expenses cover to pay for legal support for property disputes and contract disputes. Get your non-standard construction house insurance quote online now!